An era has passed. White’s Drug Store has been sold. The Nahnybidas are moving toward retirement. On Friday evening, the first night of the 14th annual White’s Drug Store Curling Classic, curlers and committee members honoured the long-standing Gold Sponsor of the White’s for their great contribution to world class curling, and there were a few tears shed with the memories of the past 14 White’s Classics. But the curling continued. 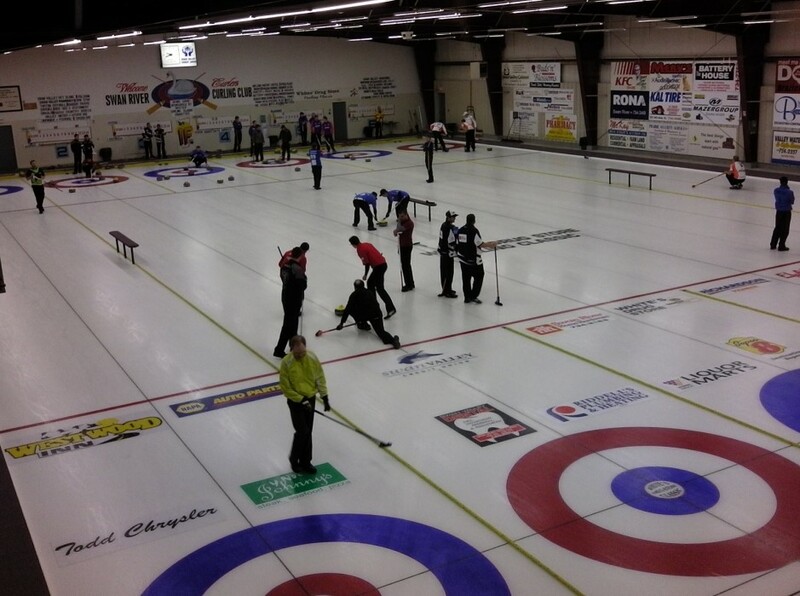 The best teams in the world were curling on the best ice in Manitoba, aiming for the $51,500 in prize money, and for the Manitoba teams, a berth to the Manitoba Safeway Championships in Neepawa in February. 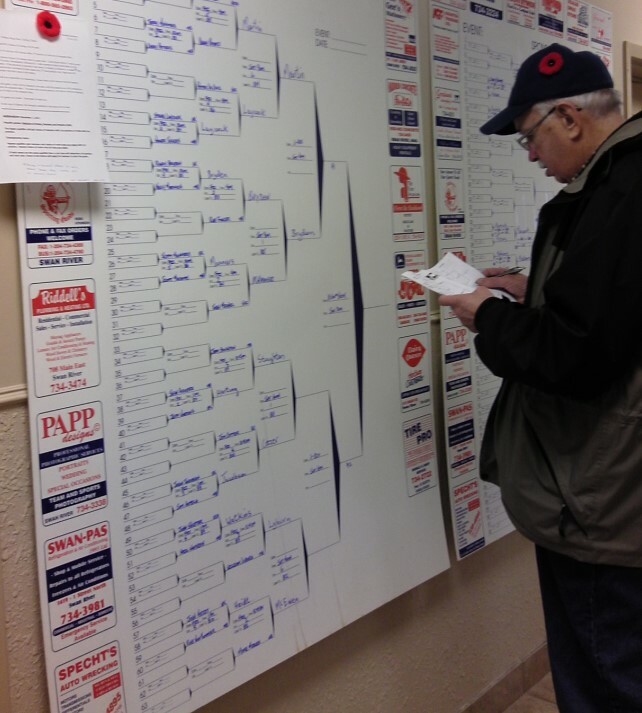 The curling fans swamped to the draw board and were meticulous about their updates. For the first time, the Whites was streamed out to the internet via Ustream. Local filmmaker, Kevin Penner volunteered his camera and PC and sheet three was set up for streaming. Eleven games were streamed and the link was tweeted across curling circles and around the world. Over 2000 people caught games on sheet three via the Ustream feed. Lorna Spicer and John Caruk also served as video crew for the streams. At 11 am, on the dot, on Sunday morning, all games were stopped. The teams moved along side the commemorative wreath at the back of the rink for a solemn ceremony of remembrance, and then it was back to business. The greatest curlers in the world were on the ice. Six Olympic medalists (Team Martin – 2010, Mark Nichols – 2000, and John Shuster 2006 , USA), World Champions, WCT Money leaders. Really the best of the best were standing shoulder to shoulder with the fans. And there were upsets. And there were amazing shots. And there was a bit of broom banging and lots of laughter. Teams McEwen and Martin earned the right to play in the $1500 skins game by virtue of their A-Side qualifying wins. They decided to “Mix it Up” as Kevin Martin put it. It would be the Front Enders from both teams (Kennedy, Heibert, Denni and Woz) against the big guys: Martin McEwen Morris and BJ. 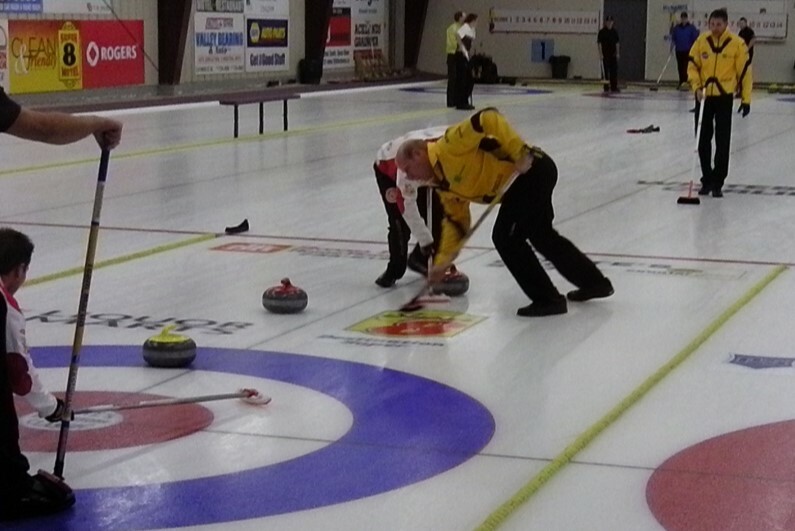 It was really interesting to see Kevin Martin and BJ Neufeld sweeping John Morris’s rock while Mike McEwen held the broom. You don’t see that very often. In the end, it was Front End triumphant. $1050 to $450. There were lots of laughs and lots of big weight miracle shots. Unforgettable. In the end, Mike McEwan’s Winnipeg team took home the $12,000 big winnings and the 21 CRTS points that will help theme advance their way to the Olympic Curling Trials next December in Winnipeg. 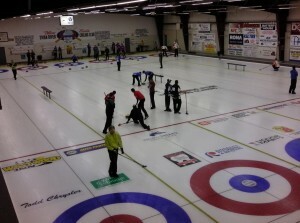 Randy Bryden of Regina, defeated Team Martin in the semi-final only to go down to McEwen in the final. This was his second time as a runner-up at the Whites. His $9000 winnings made the loss a bit easier to handle. Terry McNamee’s Brandon/Pilot Mound foursome took home the floating MCA berth and will be after the provincial Tankard in Neepawa this February. 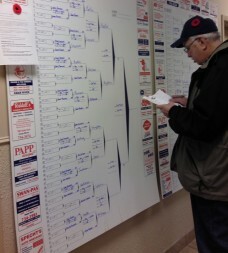 Between the Semifinal and Final games, the Whites committee opened the PA system and made an announcement. 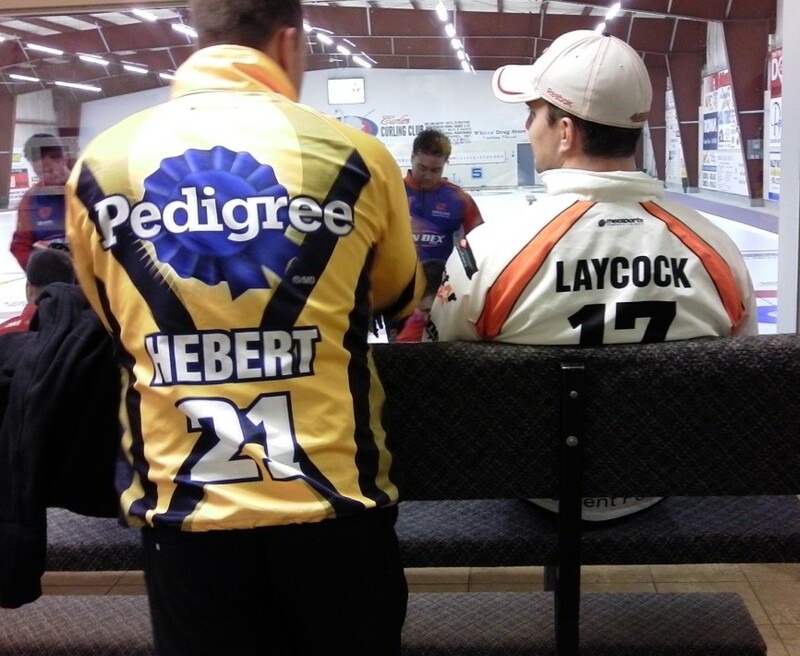 Rumours and discussion had been drifting around the club all weekend about the future of the White’s Drug Store Curling Classic. Would this be the last year? To a curler, all agreed that would be a real shame. Well, his worries were put to rest. The White’s committee announced that the new owner wanted to make it known that they would continue as title sponsor for the White’s. There was an audible sigh of relief followed by grateful applause. This White’s was the best yet. 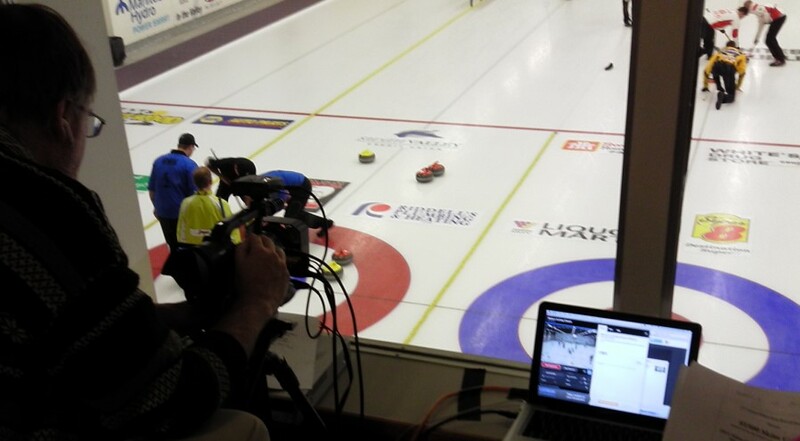 The blizzard may have reduced the number of curling fans who came to watch, but the curlers all made it before the big storm hit, and the streaming reached many curling fans who were unable to attend.